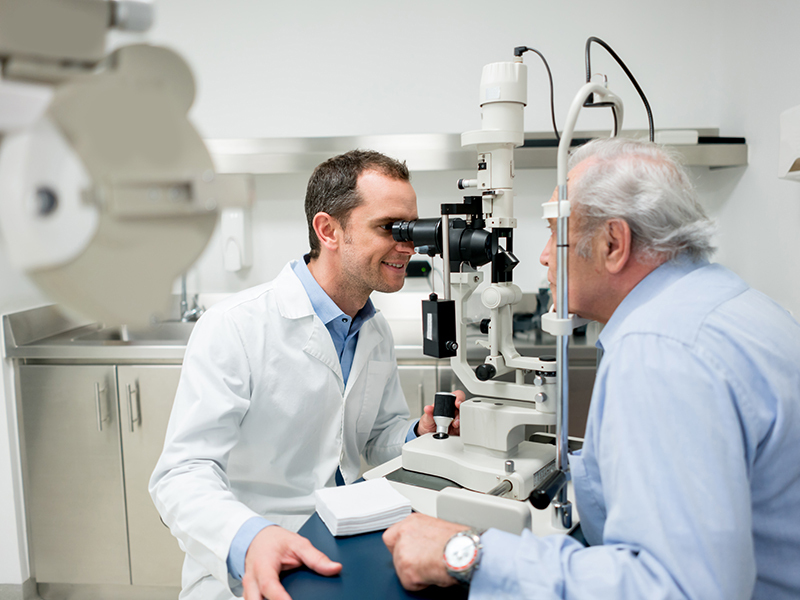 Diabetic retinopathy (DR) is the the leading cause of vision loss in working-age adults. Eye care must become integrated into the primary healthcare of people living with diabetes. Poorly managed diabetes can severely affect vision and cause blindness. Diabetic retinopathy (DR) is the most common diabetic eye disease and is the leading cause of vision loss in working-age adults. DR affects one-third of people with diabetes. Painless and without noticeable symptoms early on, DR results from long-standing hyperglycaemia. Appropriately timed screening treatment is the best means to prevent vision loss. To address the growing population rates of diabetes, and the increasing prevalence of DR, eye care must become integrated into the primary healthcare of those living with diabetes. In part to enhance health care providers’ care for their patients with diabetes, the Integrated care for diabetes and eye health: A global compendium of good practice has been developed by The Fred Hollows Foundation in collaboration with IDF, Helen Keller International, The International Agency for the Prevention of Blindness, International Council of Ophthalmology, Lions Clubs International Foundation, Orbis International, The Queen Elizabeth Diamond Jubilee Trust, Sightsavers International, World Council of Optometry and in association with the World Health Organisation. Importantly, the report documents seventeen case studies from around the world that highlight current initiatives showing promising results in integrating care for DR. The report fills an important knowledge gap, and has resulted in key recommendations on the implementation of integrated eye care for policy makers, medical organisations, service providers and social investors. The Compendium outlines broad categories for integrated care, including the need for training of primary healthcare and diabetes care professionals in DR. Ultimately healthcare providers must know how to identify DR, how to advise their patients, and when and where to refer their patients. Ideally, through the integration of primary healthcare and diabetes eye care, professionals will be positioned to meet their patients’ eye health needs. Further highlighting the need for training of healthcare professionals, experts in eye and diabetes care convened in September at The European DR Barometer Advocacy Workshop, held in Milan, Italy. The event was hosted by the International Federation on Aging, the International Association on the Prevention of Blindness, IDF, Vision Academy, and Bayer. The attendees identified solutions to real world scenarios in which patient eye care is compromised. They discussed how to improve screening and diagnosis, as well as recent advancements in treatment options. In response to this recognized need, and to expand on the success of the online short course on Diabetic Retinopathy (DR), the IDF School of Diabetes has launched the course in French and Spanish. Healthcare professionals have found the course to be a valuable component of their continuing education. The module discusses the complications, risk factors and pathophysiology of DR, classification of stages and screening for DR and diabetic macular edema, as well as the recommended diagnostic tests and management strategies for DR. The course is available free of charge, after registration in the IDF School of Diabetes. Upon successful completion, participants are awarded a Certification of Completion and one European CME credit (ECMEC®). Since the launch of the course in English, over 836 enrollees from 113 nationalities have given the course an average rating of 4.4 out of 5. Of those enrolled in the DR Short Course 15.7% are Primary Care Physicians, 11.4% are Endocrinologists/Diabetologists, and 8.9% are Nurses. Eighty-four percent of the participants practice in urban settings, representing countries all over the world: 15.5% from India; 7.4% from Pakistan; 5% from Mexico; 4.6% from Australia; and 4.4% from the U.K.
IDF is proud to work with our partners toward the improved care of people with diabetes.